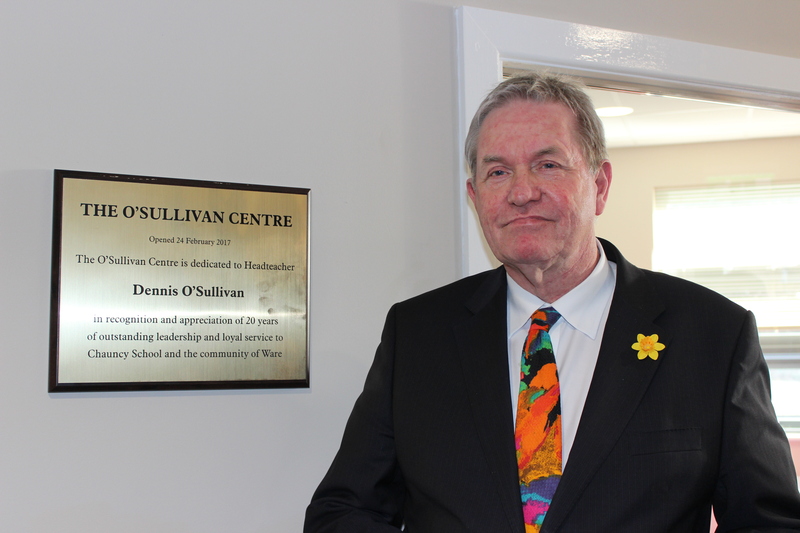 THE O’SULLIVAN CENTRE OFFICIALLY OPENS! The Chauncy Sports Hall complex, now named The O’Sullivan Centre was officially opened on Friday 24th February 2017 by Headteacher Dennis O’Sullivan, England Youth Athlete Grace Gentry, Chair of Governors Bob Watson and representatives from the Chauncy Governing Body. Many thanks to all the parents and visitors who attended the opening and special mention to the Chauncy Sports Leaders for running an energetic carousel of activities for 170 Year Seven students throughout the afternoon.